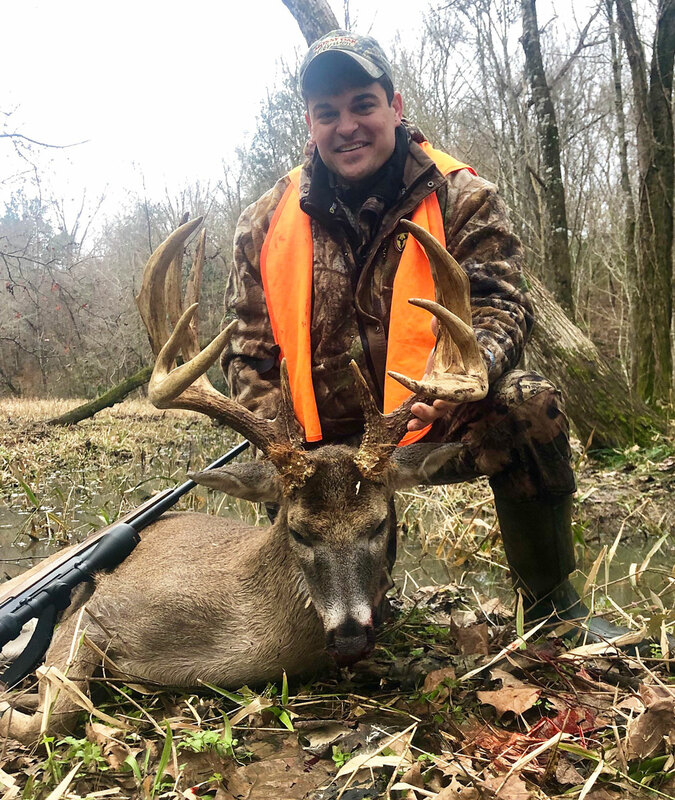 Turner Smith of Flowood has every right to be proud of the club record 164 5/8-inch buck he killed Dec. 29 in Wilkinson County, after committing all his time and skills to the 12-point. That said, why was he so happy to talk about another buck, one his mom took Jan. 14 at the same club? 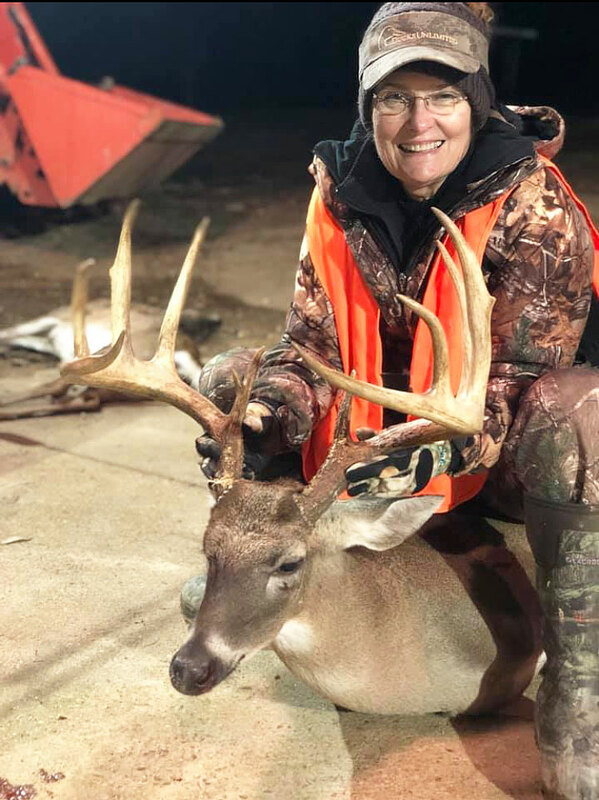 Augusta Smith of Natchez killed this 165-inch 10-point Jan.14, just 16 days after her son Turner Smith had set a club record with a 164 5/8-inch 12 point. 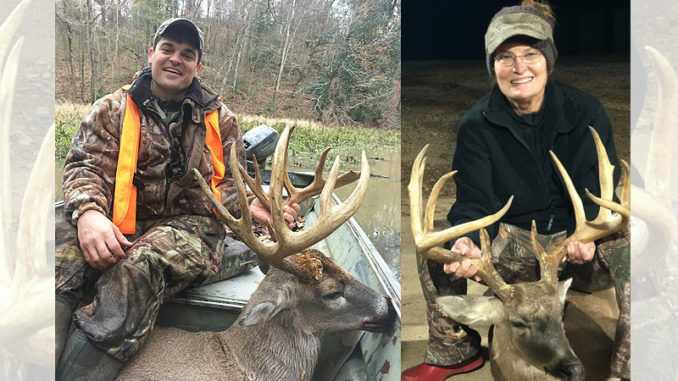 How the son and mother killed their two bucks couldn’t be more different. His ended a month’s long pursuit in the heart of the thick woods. Hers came in a T-shaped food plot. Similarities? Sure: Both bucks had been seen by other hunters and been captured on cameras, both were shot with .270 rifles, and both were shot less than an hour after the hunters reached their stands. “I was riding in to the stand at 2:30,” Augusta Smith said. “I was jumping deer out of every field I passed, and I thought, ‘Oh no, I’m too late.’ I was hunting in a T-shaped food plot and I’d heard there had been another big buck hanging around. My daughter said she thought she jumped a big buck (and later guessed it was the one her mom killed) the day before, and a few days earlier a youngster was hunting the same field from the same stand and right before dark he saw a big buck and had gotten a dark photo of it through the scope. I don’t know why he didn’t shoot it, but I’m glad he didn’t. Worries of jumping deer quickly subsided. Deer were moving, and crossing her field. “When I got there, a doe and a yearling crossed the field and went to the woods where the big buck eventually came from,” she said. 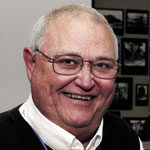 “Those two came back out, and then a few minutes later a doe and two yearlings came out right behind them. Then an 8-point came out with his nose to the ground, but he wasn’t pushing the does and they weren’t running from him. I was looking at him through my scope and I looked behind him and there was another buck walking into the field. 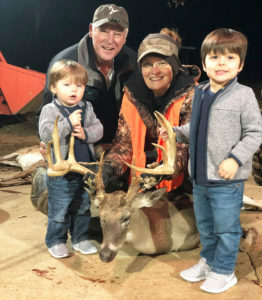 Augusta Smith celebrates her 165-inch buck with her husband Billy Key Smith and her grandsons. In the river bottoms of Wilkinson County, cell phone signals can come and go, and while Augusta’s husband, Billy Key Smith, heard the shot, none of her texts were getting through. Others were seeing them but not Billy Key. The half-inch more that it measured above her son’s buck broke his record, but not his joy and not his enthusiasm over his successful months-long stalk of the buck. Turner Smith was well aware his big buck existed. “My brother had seen it during archery season at 100 yards but all he had was a bow,” he said. 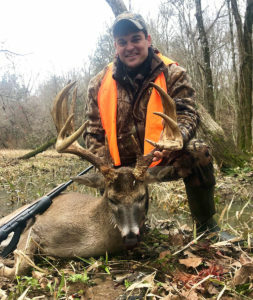 “I usually only bow hunt but on this deer, as big as it was, I decided to take the gun. We’ve killed a lot of good deer at our club, which the members own, and a lot of 150-class bucks, but we’ve never topped 160. Turner Smith committed all his deer hunting time and effort to this big 12-point, and scored 164 5/8 inches on Dec. 29. It was enough to whet Turner Smith’s appetite. “We had other members getting pictures, mostly at night,” he said. “I decided I was committed to him and I printed out a map of the club and started putting stars to mark the locations of all the reported pictures and sightings. When I finished, I noticed that there was this one small hardwood bottom at the very center of the marks. I figured he had to be using that bottom so I had a plan. On Dec. 6, I dove off into that bottom and hung three cameras. Two days later I started getting pictures of him. Thus began a long hunt, over many weekends. “Ten straight hunts, I went to that bottom,” Turner Smith said. “I had seen a lot of deer including some decent bucks but I was committed. On the 10th hunt, the morning of the 29th, I saw him. I got in there and got set up in my little home-made ground blind of bamboo and palmettos. I had a good view of this one big white oak tree on the opposite ridge. There had been an old barren doe feeding there every day I had been there. I knew it had to be dropping acorns. I felt good because I had gotten a photo of him around 2 a.m. that morning so I knew he was in the area. 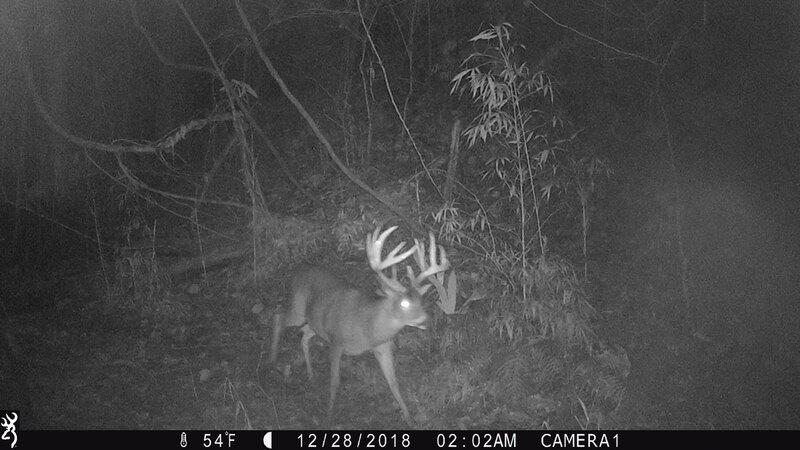 This trail cam photo at 2 a.m. the morning before the buck died assured Turner Smith the trophy deer was still in his core area. Smith knew immediately that everything he had worked for had a pretty good chance of happening in the next few moments. “When I saw it was the buck I had been chasing, I got ready,” he said. “I had a makeshift shooting stick, a stick split at the top that I could use as a rest. Between where the deer was where I was is thick, and I had this one hole to shoot through and all that I could see in it was his antlers. I needed him to take one step and put his chest in that hole. Smith scanned the entire area around and under the big white oak, but couldn’t find him. The buck was quartered away, facing uphill still halfway up the far ridge. The shot ripped through his vitals. 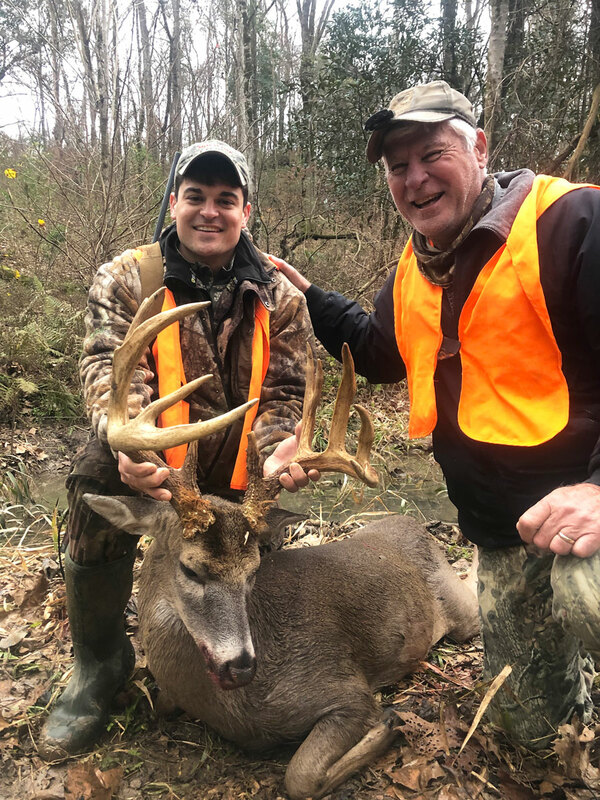 Turner Smith and his dad Billy Key Smith celebrate the son’s giant buck. Smith contacted his dad to let him know that the big buck was down. Gross scored at 164 5/8 inches, the 12-point was a main-frame 10 with both G2s split, one seven inches and the other five. Combined, mom and son have over 325 inches of antlers to add to the family’s trophy wall. That’s awesome.